Kelewele as it is called in Ghana, Dodo in Nigeria, Missolè in Cameroon, Makemba in the Democratic Republic of Congo and Alloco in Côte d'Ivoire. When you're looking for a delicious spicy snack spicy fried plantain hits the spot every single time. If you’ve never tried it, this dish is referred to as “edible gold” and “pure bliss”. It’s incredibly easy to prepare and will satisfy all those spice lovers out there. This simple yet delicious recipe is sure to tickle the taste buds and please peckish tummies. A popular recipe all over Africa, it’s best served hot! Be sure to use a Ultimate Carbon Steel Wok or Frying Pan as it can handle high heat plus it heats up quickly, so there’s no waiting around. - Peel the plantain and cut into 1/2 inch slices (or 1 inch and pres them vertically. Make sure that if you spot ‘woody’ parts in the centre of the plantain to remove them. - In a large mixing bowl mix together the cayenne pepper, ginger and salt until well combined. - Drop in your plantain slices into the spice mix and fully coat them all over. - In a large Ultimate Carbon Steel Wok, heat all of your oil. (Alternatively for smaller amounts or batch cooking, use your Ultimate Carbon Steel Frying Pan.) Once hot, fry the spicy plantain chunks until they turn golden brown in colour. - Rest the hot plantain pieces on a paper towel to absorb any excess oil. 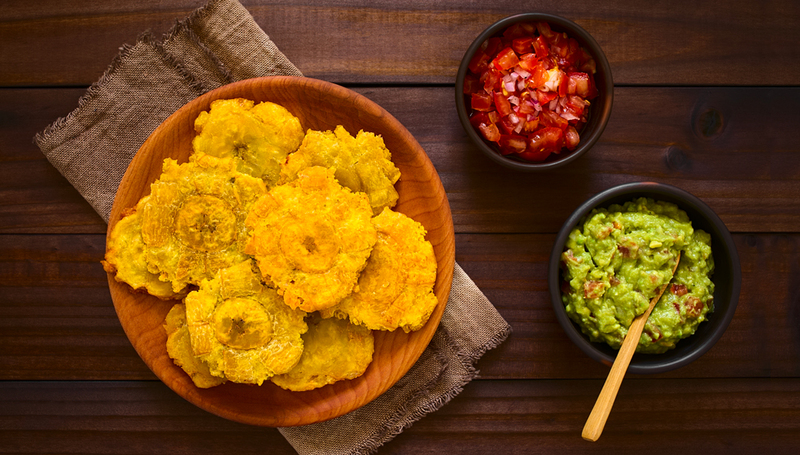 TIP: If spice isn’t your thing, plantains are equally delicious sprinkled in salt and fried.